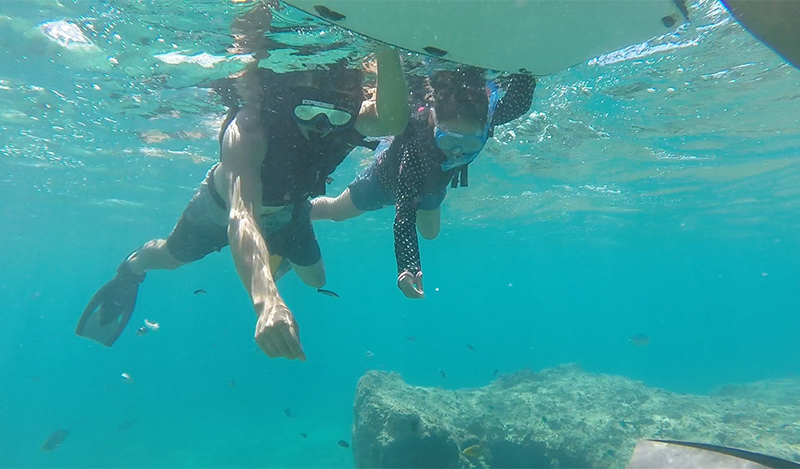 People who try snorkeling for the first time can also enjoy Okinawan sea with a kind instructor who will swim with you. You will be welcomed by fishes of various colors in outstandingly clear sea. *Service may not be provided depending on the weather conditions. Thank you for your understanding in advance.